The privacy of our visitors to http://gosportandroyan.org.uk through is important to us. As such we only have active pages with no opportunity for any personal details to be stored. 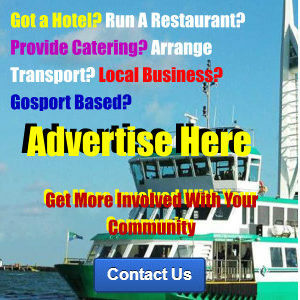 Gosport & Royan Twinning Committee (http://gosportandroyan.org.uk) is a community organisation promoting the well-being, social, cultural and commercial aspects of the two towns. 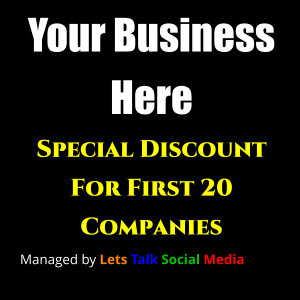 This site is managed by Lets Talk Social Media and a copy of the full policy is from the website http:. At ” Gosport & Royan Twinning Committee ” we recognise that privacy of your personal information is important. Here is information on what types of personal information we receive and collect when you use and visit “http://gosportandroyan.org.uk“, and how we safeguard your information. We never sell your personal information to third parties. The 21st Century brings with it broader use of technology, new definitions of what constitutes personal data, and a vast increase in cross-border processing. The new Regulation aims to standardise data protection laws and processing across the EU; affording individuals stronger, more consistent rights to access and control their personal information whether customer or employee. Gosport & Royan Twinning Committee (‘we’ or ‘us’ or ‘our’) are committed to ensuring the security and protection of the personal information that we process, and to provide a compliant and consistent approach to data protection. We have always had a robust and effective data protection program in place which complies with existing law and abides by the data protection principles. However, we recognise our obligations in updating and expanding this program to meet the demands of the GDPR and the UK’s Data Protection Bill. Gosport & Royan Twinning Committee are dedicated to safeguarding the personal information under our remit and in developing a data protection regime that is effective, fit for purpose and demonstrates an understanding of, and appreciation for the new Regulation. Our preparation and implementation objectives for GDPR compliance have been summarised in this statement and include the development and implementation of new data protection roles, policies, procedures, controls and measures to ensure maximum and ongoing compliance. We already have a consistent level of data protection and security across our organisation, however it was our aim to be fully compliant with the GDPR by 25th May 2018. Information Audit – we carried out a company-wide information audit to identify and assess what personal information we hold, where it comes from, how and why it is processed and if and to whom it is disclosed. We logged this information appropriately and review it when there is any change in reasons for processing. International Data Transfers & Third-Party Disclosures – where Improve Your Condition stores or transfers personal information outside the EU, we have robust procedures and safeguarding measures in place to secure, encrypt and maintain the integrity of the data. Our procedures include a continual review of the countries with sufficient adequacy decisions, as well as provisions for binding corporate rules; standard data protection clauses or approved codes of conduct for those countries without. We carry out strict due diligence checks with all recipients of personal data to assess and verify that they have appropriate safeguards in place to protect the information, ensure enforceable data subject rights and have effective legal remedies for data subjects where applicable. We have designated Lee Werrell as our Appointed Contact Person any gap areas and implementing the new policies, procedures and measures. We understand that continuous employee awareness and understanding is vital to the continued compliance of the GDPR and have involved our employees in our implementation plans. We have implemented an employee training program specific to the which will be provided to all employees prior to May 25th, 2018, and forms part of our induction and annual training program. We may use PayPal as well as accept Bank Transfers and therefore all major Credit/Debit Cards, Bankers Draft or BACS Transfer are all acceptable methods of payment. Our Terms are payment in full within thirty days. All goods remain the property of the Company until paid for in full. Monies that remains outstanding by the due date will incur late payment interest at the rate of 2% above the prevailing Bank of England’s base rate on the outstanding balance until such time as the balance is paid in full and final settlement. We reserve the right to seek recovery of any monies remaining unpaid sixty days from the date of invoice via collection Agencies and/or through the Small Claims Court in the event that the outstanding balance does not exceed £3000. In such circumstances, you shall be liable for any and all additional administrative and/or court costs. 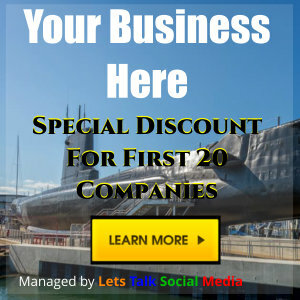 We may also use third party advertisements to support our site. Some of these advertisers may use technology such as cookies and web beacons when they advertise on our site, which will also send these advertisers (such as Google through the Google AdSense program) information including your IP address, your ISP, the browser you used to visit our site, and in some cases, whether you have Flash installed. This is generally used for geotargeting purposes (showing New York real estate ads to someone in New York, for example) or showing certain ads based on specific sites visited (such as showing cooking ads to someone who frequents cooking sites).